Why do you need to work with influencers? For brands, influencers are key to building brand awareness and credibility, and earned media – the content which is created by the influencers, not by the brand or promoted by the brand – is one of the most powerful assets for a business. Done right, influencer marketing quickly builds trust and enriches your content strategy, effectively reaching your target audience and driving engagement and sales. 92% of consumers trust recommendations from others and 49% of consumers rely on influencers for purchase recommendations. Earned media generates powerful and valuable conversations that can really benefit brands. You need to find the right influencers to work with according to your audience. This shouldn’t just be based on the influencers themselves or your marketing strategy, but on your audience insights and demographics. The knowledge you have about each person in your audience is crucial in picking the right influencers to work with. The capacity we at agency:2 have to target the right audience and the right influencers is a real benefit and our recruitment process balances these two areas. Our Campaign Audience Insight Reports allow us to understand the most valued audience segments with our audience builder technology, the ATOM, which collects insights from your audience’s most valuable interactions. These rich insights allow us to build ongoing relationships with the influencers and track campaign effectiveness. Our extensive reports mean you can measure business impact and ROI through key performance metrics. 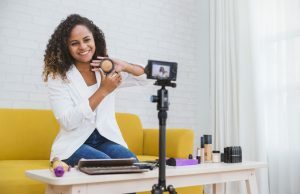 Rather than simply relying on the word of mouth effect, in the last few years brands have begun to qualify their consumers, viewing them as influencers and trying to work with the micro and ‘magic middle’ influencers instead of the A list. Brands have recognised the power consumers themselves have to influence other consumers on social media. Their mission is to turn their consumers into brand advocates. Focus on getting to know your influencers and pay attention to their work and to the content they create. The best way to build long-term relationships with influencers is to work with them on an ongoing basis. This demonstrates the brand’s commitment to them. Ideally, move from a 6 week campaign to a 12 month programme to drive quality content and recommendations and make sure that in-between campaigns you maintain contact with the influencer. Nurturing relationships with your chosen influencers is key. Many companies that invest in influencer marketing campaigns do so on a ‘per campaign’ basis rather than working with influencers on a monthly or retainer basis. However, we advise working with influencers on a longer-term basis. For example, we may work with 250 mums with children between 2 and 5 years of age with specific criteria to promote a cereal. We’ll work with them to create perhaps thousands of posts, videos and recommendations, but when the campaign finishes we don’t stop the relationship there, as we realise to do so would be to stifle the impact of all that earned media. If you’re working with a micro influencer without a paid relationship, it makes sense to continue working with them in the long term because their advocacy is very powerful. Understandably though, when working with paid influencers it may make more financial sense for you work with them per campaign. We tend to focus on the micro and middle magic influencers – normal people that have power to influence others, this is where trust factor lies. Our technology allows us to work with a lot of micro and magic middle influencers at the same time in order to reach more people. Don’t be sucked in to the allure of working with the A List – you may get higher reach but engagement will be lower. The opposite is true when working with micro and magic middle influencers. They’re perceived to be more genuine and authentic, which makes all the difference when you’re presenting a new product or trying to convert sales. Repurposing is key to maximising your earned media content. At a minimum you can re-post influencer content on your social media channels but why not go a step further and create a section of your website to house the content influencers have created for you? Many brands use their earned media content for TV, print, or social media ads too. There are a lot of influencer marketing agencies in the market today. Many purely offer brands the opportunity to search for influencers, usually on Instagram. Other agencies have their own influencer networks and manage their own campaigns, right through from recruitment to managing KPIs, and so on. Many are not social media agencies or lack the right technology, so they are unable to integrate to achieve the best results. Some brands work with an influencer marketing agency and a social media agency separately to work on their campaigns but it’s worth considering an agency that is both integrated and specialist when it comes to social media. By integrating the influencer marketing strategy, social media strategy and your paid media strategy, you can boost your earned media content as you combine the teams and goals. Here at agency:2, we combine all three and run influencer marketing campaigns globally, taking control of the full process to maximise and promote brands’ earned media content. Our unique technology, the ATOM, collects data from the audience that interacts with the content created by the influencers. We are able to collect demographics and data from all the people that interacted with influencer posts and, in this way, we can truly be the sole provider of a brand’s influencer marketing, right from recruitment to creating the right storytelling to engagement and measuring. If you’re interested in working with influencers to build your brand our award-winning influencer performance technology and team of social media specialists can provide you with a fully managed influencer service. Find out more here.